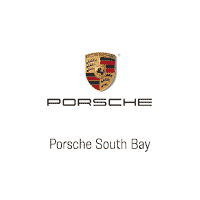 Porsche South Bay has been serving the South Bay since 1999, and now, we are one of ten Porsche Certified Classic Partners in the U.S. and the first in California. Our sales and service staff live and breathe the Porsche (several of us even race Porsche vehicles on our days off!). Our certified Porsche Brand Ambassadors love what they do and are happy to provide you with any questions you have during your Porsche buying experience. Our service department features the most highly trained technicians in the industry and our ongoing commitment to customer care set us apart from the competition. We have one of the largest Porsche loaner fleets in Los Angeles, with over 20 Porsche vehicles in stock. As part of the LAcarGUY family of dealerships, we are heavily involved in the community, charity and fun local events, including Heal the Bay, Grades of Green, Boys and Girls Club, Manhattan Beach Pumpkin Races and the Richstone Family Center Gala and golf tournaments to name just a few. We are excited to show off our new location! We are located in Hawthorne, right off the 405 freeway at Rosecrans. Our brand new facility features a 17 car showroom, 34 service bays, free hybrid charging stations and will be a mere 20 minutes away from the new Porsche Experience Center. As the LA South Bay’s leader, whether for a New Porsche, Used Porsche, Porsche service or a simple question you can count on us every time you call, email or visit. Welcome, and we hope you enjoy your visit – virtual or otherwise!